If you've chosen to embark on a carbohydrate-controlled diet, then you may be wondering how many carbs in a low carb diet? The answer, in large part, depends on the diet you have selected as well as how far along you are into the diet plan. It also depends on factors unique to your body type and body chemistry. There are a large number of different low carbohydrate diet plans. Some of the popular low carbohydrate diet plans include Atkins, South Beach and the Carbohydrate Addict's Diet. While the details of each of these diet plans differ, they are all based on a common principle - to limit the amount of carbohydrates you eat in order to control the amount of insulin released into your bloodstream. 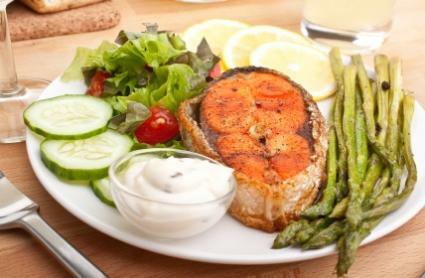 According to low carb diet proponents, insulin plays an important role in weight fluctuation. When there is sugar in your blood, your body releases insulin to neutralize the effects of sugar on the body. Blood sugar rises when you eat carbohydrates - especially refined and simple carbohydrates like white flour and sugar. While insulin plays an important role in neutralizing spikes in sugar, it is also the primary mechanism by which fat is escorted into the fat cells. It also prevents fat from being released from your fat cells to be used as fuel. Low carbohydrate diets limit the amount of insulin released into the bloodstream, which allows your body to rely on its own fat as its primary source of energy. The byproduct of burning fat as your primary energy source is known as ketosis, which can aid in satiating hunger and keeping your energy levels high. Limiting dietary sources of carbohydrates is what starts the whole process of ketosis. Determining how many carbs in a low carb diet depends, to some extent, on your own body chemistry. Most major diet plans start with a phase of eating a very low daily amount of carbohydrates and then increasing carbohydrate consumption in stages as you move throughout the diet. Most low carbohydrate diet plans have an initiation phase where carbohydrates are at their lowest. This usually lasts a few weeks at most and allows your body to achieve a state of ketosis and get used to operating on a lower amount of carbohydrates than it is used to. Atkins refers to this phase as "Induction" and recommends dieters stay on induction for two weeks before slowly beginning to step up the amount of carbohydrates eaten. Most low carbohydrate diets recommend eating between 20 and 50 grams of daily carbohydrates during the first few weeks of the plan. In the intermediate phases of a low carbohydrate diet, your body has entered a state of ketosis. It is at this point most plans allow you to gradually increase the amount of carbohydrates you can eat. This is also the part in the diet where you can personalize the diet to work with your body's unique chemistry. The amount of carbohydrates to maintain ketosis can vary a great deal from person to person.Most diets recommend you increase the daily amount of carbohydrates you eat in this phase by about five grams. Every few weeks, increase the grams of carbohydrates you eat by this amount until you stop losing weight. Once you've stopped losing weight, back off by about five grams of carbohydrates per day. This is the daily amount of carbohydrates your body can tolerate and still stay in ketosis, and is usually the amount you will eat until you have reached your goal weight. The maintenance phase of a low carbohydrate diet is the one you enter once you've reached your goal weight. This is your diet for life if you don't wish to regain the weight you lost. Once you are in the maintenance phase of your diet, you most likely won't be able to eat as many carbohydrates as you wish. Instead, carbohydrates are still limited - usually to less than 100 grams of complex carbohydrates a day. Most diets recommend that when you are ready to enter maintenance, you gradually bump up the carbohydrates in your diet by about five grams per day every few weeks while monitoring your weight carefully. If you begin to gain weight, then back off by about five to ten grams of carbohydrates per day. This is your maintenance amount, and you should aim to keep your carbohydrates in that range most of the time.As you can see, there is no set amount of carbohydrates in a low carbohydrate diet. Instead, ranges are recommended based on the diet you choose and the unique needs of your body. If you follow the diet's guidelines and set achievable goals, then you can be successful at a low carb diet.